He was one of the inspiration for the most of young producers even today I can’t believe he is not around he music and lines of song meant every thing. You didn't deserve this. We all want you back. I met him once at Sweden in 2017, i was 13 yo. He¨s an great producer , and he will be in our hearts for a long time. Thank You Avicii. I miss you. Better day when your new album sound in all the world. Thanks for all. I love that every time I'd play one of his songs there was a deep energy within me, in my heart that never went away. I miss you, all world miss you. I hope, you're okay and happy. We'll remember you ever. One day, we'll meet. Thank you. ❤️. you are just too good to this world. thanks for everything. healing, cheering, loving. Thank you Avicii for all of that music, I really love it and how is created! I remember that the first time I heard your song Wake me up, I was really addicted to it and you made me more addicted. Thanks to you, my life became more beautiful. When you died I was shocked. Hope you will be in the best place in heaven. RIP you AVICII. The whole world will miss you very much. @ZenpaiGM from Vietnam. Tim...You are in my heart. You are a magical man with big heart. Losing you is like living without a heart. I like you very much.Stay strong Tim. The world 🌎 will never be the same without your beautiful smile and love ❤️ We we’re lucky enough to have been able to get to know some pieces of you and they were beautiful. With or without your music you were Beautiful inside and out. You touched my life when I was extremely low, I related to some of your struggles and it helped me through a hard time in my life when I was all alone in the dark. Thank you for giving your love and talent to the world. You will be forever in my heart. I love Avicii he brought me up when i was down im so sad that he had to go but i will still share the love he brought me. I didn't believe in god, then I heard your music and now I got someone to believe in. I'm so proud of you. you're the biggest legend our world could had. October 4th, 2014, México City: Thank you Avicii for giving me the best night of my life, you're my inspiration to follow my dreams and don't give up, I'll give my everything because of you, I miss you and I will always love you, you're a legend. Thank You. Thank you for being there, their, they're. I grew up singing along to almost every song since 2008 and now that he is gone it's been so heartbreaking because he was very talented and should have lived to have a future. " The past holds many memories and now we have to move on to the future #One year after #RIP AVICII " May be gone but will never be forgotten"
You are the trigger to making music. I can't believe it yet. Someday I want to be like you. RIP Avicii. RIP in Pace Tim <3 Fai abballare ddu curnutu di Cristu! His music made the world a better place, We love you Avicii. Thanks for the great feeling when I'm going on the ice for a game with the team and Levels is playing, but also for all the other great songs you've created. I could listen to them all day. Thank you avicii for bringing such beautiful music in a time of need. Inspiring myself and thousands. RIP brother. I everyday wake up to his music, his music makes me feel alive and happy. Life is worth because of his songs. You are forever loved Tim, we miss you. Monday left me broken Tuesday I was through with hoping Wednesday my empty arms were open Thursday waiting for love, waiting for love Thank the stars it's Friday I'm burning like a fire gone wild on Saturday Guess I won't be coming to church on Sunday I'll be waiting for love, waiting for love To come around Thanks you so freaking much! 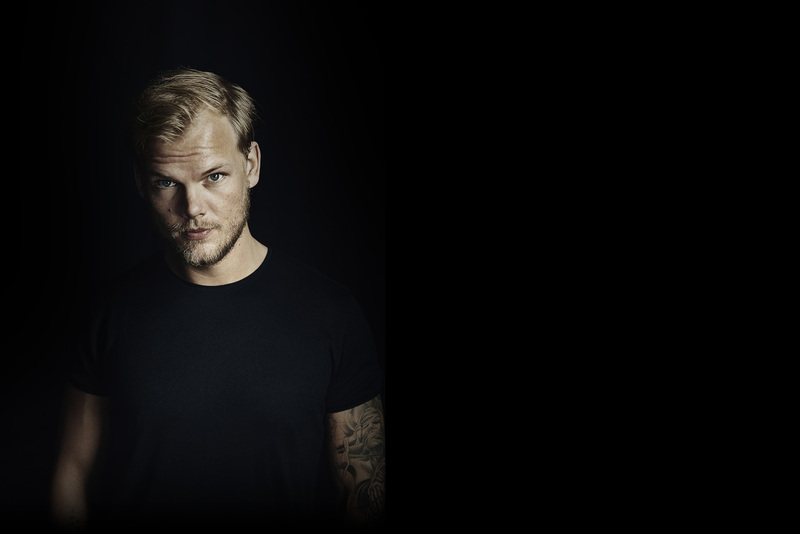 Avicii helped shape the world of music by his talent. By his determination he was able to get his music to every corner of the world. Thank you for everything! Thank you for giving me something to grow up with that I still continue to enjoy. Thank you for giving me and my best friend something to find each other with. Thank you for your music, nothing will ever compare to it. I wanted to go to Tomorrowland to hear you for real. Now I'm not so interested in like before. I remember when I first heard Tim’s music. It was such an amazing moment. So in honor of him, this year at our last band concert we’re playing his greatest hits in a medley. Thank you so much Tim. Your music is an inspiration to us all, we wont ever forget the memories you gave us. The world didn't just hear your music, we felt it. Tim, You were a huge part of music for me, the start of a genre I had never heard before. I will listen to you until it is my time and continue to share all the great music you wrote. Although you may not be here you will live on. Thank you for all the bangers, and I can't wait to hear the stuff you were working on. I can feel your love picking me up from the underground! 3 years ago I was on my uncle's birthday and then I heard waiting for love for the first time and I thought wow this is amazing. Then I started listening more and more Avicii, you will be always remembered by me. Tim, thank you for leading me to the world of EDM. I will never forget the first day that I was in a small town next to the Cradle Mountain and listened "Lay Me Down". Since that I started my journey of EDM. Thank you for bringing so much things and feeling for us. R.I.P. Avicii. From the moment I heard my first Avicii song, I knew Tim was a different type of artist. Something never heard before. I always wanted to see him in concert and I got tickets to his one time but it was cancelled. Now I may never see the legendary Avicii, but his music still gives me goosebumps and I'll forever cherish the work he created. It was pure art in musical form and I hope he knows way up in heaven how amazing he was and how much he means to everyone on this Earth. Rest in peace Tim. I come from HKG but I love your song and your song let me feet very happy every day. Your loss has touched us all Tim. One year on it still doesn't feel real. Many of us here at turn2me have been touched by loss to suicide as well as our own dark feelings and pain. Your music of deep insight and positivity reminds us that no matter how much pain we are suffering, life is still full love and hope for a brighter day. Your life and art inspires us to make a change and reach people suffering from mental health distress. With love from all of us here to you and your family. His music will always be a vivid part of my childhood. i will always enjoy it. Rest in peace Avicii. Your music is the only thing that keep me away from the sadness and boredness of this life. I've listened to a lot of stuff recently, but still your music always gets many high place in my mind. Everytime I feel sad, I just have to remember how nolstagic your music is. So sad that I just listened to your stuff after you passed away. But don't worry, you always have a place in my heart. Much love from Vietnam! Tim's music was the highlight of my trips that I took going into my teen years. I remember one where I had listened to "Waiting For Love" on repeat as we went, and it the best hearing it for that first time! Rest In Peace Tim, you may be gone, but a legend never dies. ~From The Netherlands~ I'm playing SOS all day because i like your song so much. It made me still cry but I know you're in a better place now. Remember, Everyone still loves you. It was 2015, time of travel of graduates. I was in a trip of graduates and in the bowling alley they passed three songs of Tim (wake me up, levels, you make me) three songs that until today I can not listen to them without feeling nostalgia ... avicii I am glad the trip of graduates ... now when I get 10 good grades I'm going to make a tattoo with the symbol of ◢ ◤ in honor of Tim .. I remember listening to Levels and Wake me up as a child loving your music but being too young to understand how you put your everything into your music. Now when I listen to your music all I can think about is how this world lost a musical genius. You truly did live a life everyone will remember. You changed how people viewed dance music in amazing ways. You will live through your music forever Tim. This world is still learning to live without you. Rest In Peace Avicii. Of the music in our ears we all shared his love with one other. He made our tears of joy magic to this world. All of us say the magic words We Love You Avicii. When i was 10 I heard Levels and I just felt like “Omg ı found a treasure”. Every time I listened you I’m feeling like that and I’m learning how to enjoy my life. For example In “The Nights” I’ve learned how to live my youth. In “ Without You” I’ve learned not to give up. In “Wake Me Up” I’ve learned to live my life and no matter what. So Thanks AVICII, you teached us everything that We need. We will never forget you and keep you alive in hearts. ◢ ◤ICII 4ever. Your song make us more happier than ever. Just can't explain how to live without you. Parece mentira que ya Tim halla cumplido un año de su partida, creo que somos muchos a quien nos afectó esa manera tan fuerte de irse de este mundo.... Todas mis oraciones con la familia de Tim..
Could have done anything to bring u back to life, LOVE YOU! I hope you see how much you gave to the world and how loved you were...how loved you are! I hope you meet you in another life. i didnt know you tim, but i miss you. when i listen to "wake me up" i feel the tears coming, cause you are gone, and thats not fair. you deserved better, but i accept your will to go and just want you to know, you are missed and loved, even if i never met you. Tim inspired me to follow my dream and create music. I've decided on his first anniversary that I'm going to put my music out there. I want to make people happy with my music, just like Tim did. If my music ever becomes popular, it will be thanks to Tim and the role model he was and always will be for me. I miss him everyday.